In any medical malpractice case, it is necessary for the plaintiff to establish that the physician had a duty to care for the patient and also that the physician did not uphold the standard of care. This is especially difficult in the field of psychiatry, where a substantial amount of physicians’ information about the improvement or worsening of a patient’s symptoms comes from patients reporting on their emotional state. In an inpatient setting, psychiatrists and hospital staff can keep observe patients’ behavior on a constant basis, which can help them determine how well their treatments are working, but in an outpatient setting, this is much more of a challenge. In the case of Chirillo v. Granicz, the Florida Supreme Court issued a decision regarding a physician’s duties toward a psychiatric patient being treated in an outpatient setting. The patient was receiving treatment for depression; all of her treatment took place on an outpatient basis. At first, the doctor prescribed Prozac, an antidepressant. After taking Prozac for a while, the patient requested to have her prescription changed to a different drug, because of non-psychiatric side effects of Prozac. The physician then prescribed a different antidepressant, Effexor, for the patient. After some time taking Effexor, the patient told the physician that she wished to stop taking the drug, because she felt that she no longer needed it. The patient died by suicide shortly after stopping Effexor. Could the Psychiatrist Have Prevented the Patient’s Suicide? 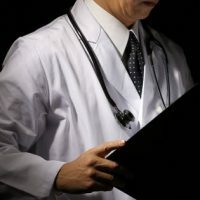 The legal precedent, as set out in the Lawlor v. Orlando ruling, is that physicians do not have a duty to prevent a patient’s self-harm, because such self-harm is usually unforeseeable. When physicians determine, based on a patient’s behavior or expression of suicidal thoughts, that the patient is at high risk of self-harm, they intervene, whether by changing the patient’s medication or, if necessary, referring the patient to inpatient care. Thus, it is a bit surprising that the court’s decision contained such general language about a physician’s duty to prevent self-harm among non-hospitalized patients. Jacqueline Granicz seems to have given no indication of her suicidal thoughts. Some antidepressants do have a discontinuation syndrome, in which patients have worsening symptoms of depression for the first few weeks after stopping the drug. One could argue that the physician should have advised Granicz more strongly against abruptly discontinuing Effexor. Psychiatrists have the same duties toward their patients as other physicians do. Contact the Palmer Law Firm, P.A. in Tampa, Florida if you have questions about possible psychiatric malpractice. We are eager to provide you with further information, and, if you have a case, assist you throughout each step of the process.